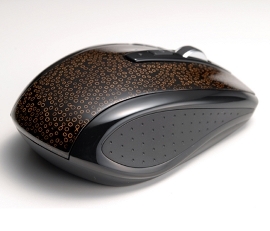 This is a Japanese lacquered mouse sold at Ryou art pc. 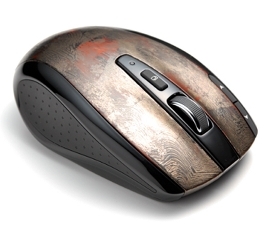 The lacquer part is painted by craftsman’s hands, so there is no mouse exactly the same. 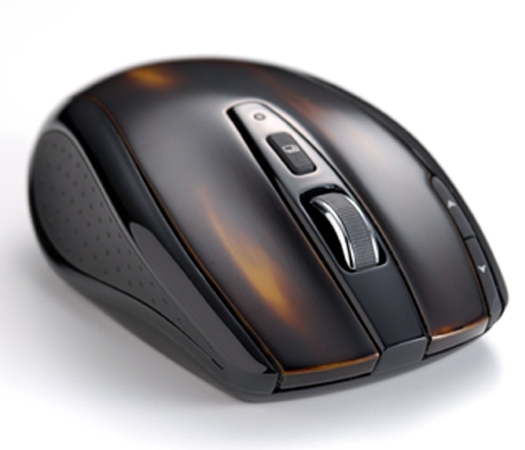 Unlike plastic, lacquer has rich and deep color, and first it is dark but as you use it, it gets lighter. 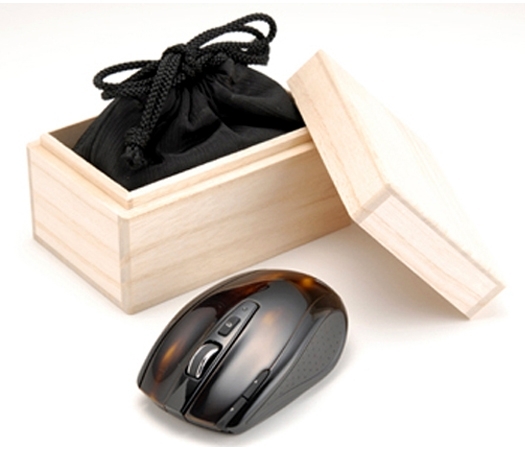 The mouse is packaged in a beautiful wooden box. There more variations in the design. These are the examples. Because it’s lacquered, the price is high; it’s between 28,000 yen to 40,000 (US$298 to US$425). 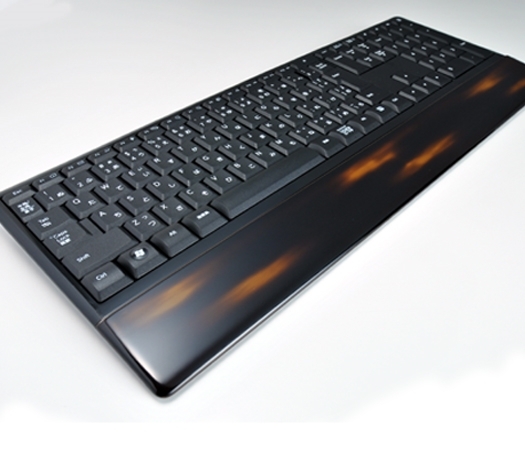 The store sells lacquered key board too.